I lived in Astoria, Queens, between 1990 and 1997. It was a three-bedroom apartment in a little brick-faced building across the street from a parochial school and church. I had the smallest bedroom and the cheapest rent, at $270 a month. The rent never increased in all the time I lived there. I miss it terribly. My roommates were a revolving cast of characters that changed every so often. There was Clarence, a gay Catholic monk who once lived in Mississippi. There was Nick, a hairdresser who eventually shacked up with a teacher from Georgia. I remember Christopher well, a bodybuilder who worked nights as a temp at Goldman Sachs. And there was “Dee” which stood for Delores. Dee was my first lesbian roommate; she introduced me to the world of Bette Davis and old movies. I was a Pretty Young Thing in my twenties. I felt like I could do anything if only I set my mind to it. I still feel like that occasionally but things are harder when you age. The scenery fades to gray, and you become less sure of yourself. Encouragement is needed, and held tenderly like aged parchment, the edges frayed and worn. Is there a food you eat that reminds you of times gone by? Of your childhood while growing up? Of family and friends? It’s funny sometimes what can be triggered by something as simple as a bowl of pasta. 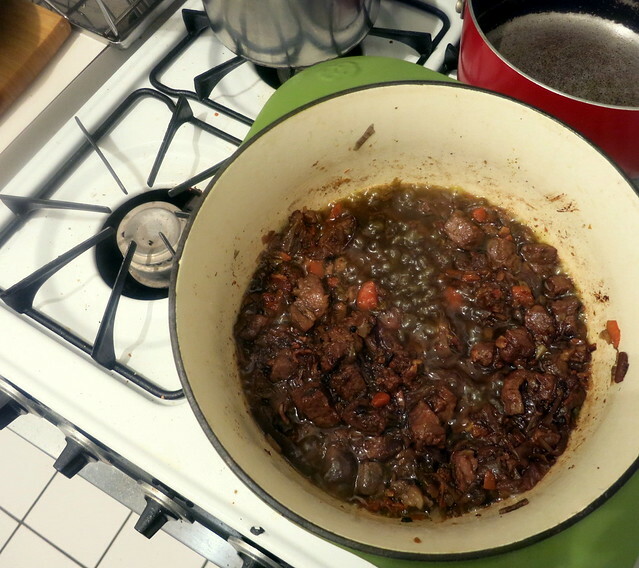 Adapted from this recipe by Mark Bittman. The version specified below is scaled down from the original and serves up to 2 people. Bring a large pot of water to a boil. 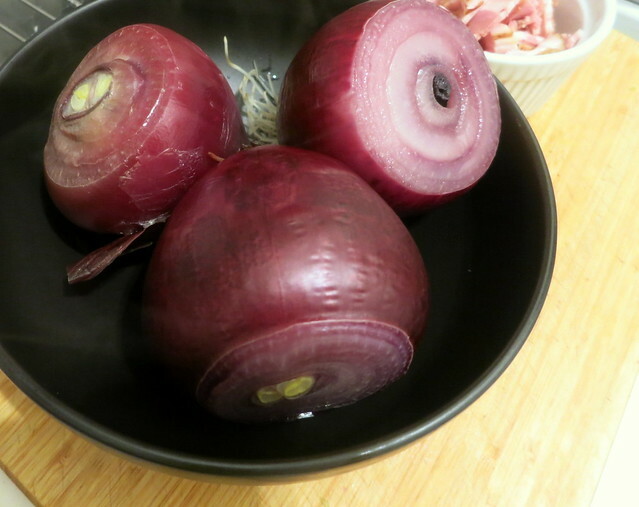 Place the onions in the boiling water, and cook, covered, 15 minutes. 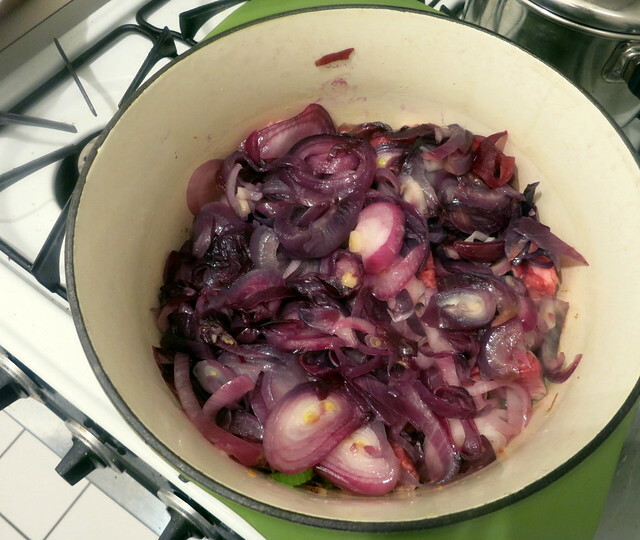 Drain the onions, and let cool a bit, then slice very thinly. 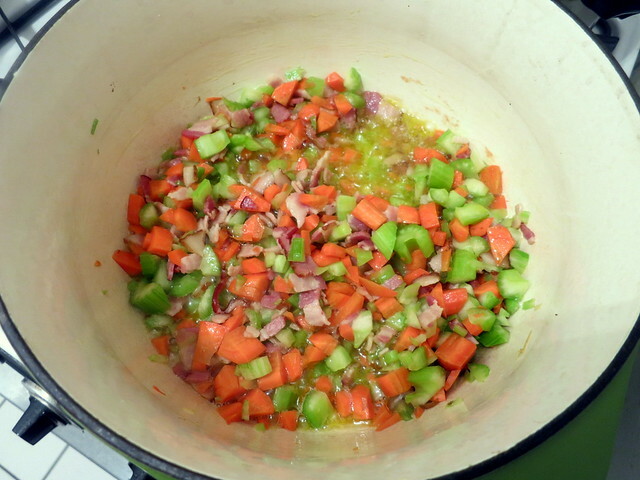 Heat half the oil in a large heavy pot over medium-high heat; stir in the carrots, celery and bacon, and cook for 4 minutes. Add the beef, then cover with the onions. 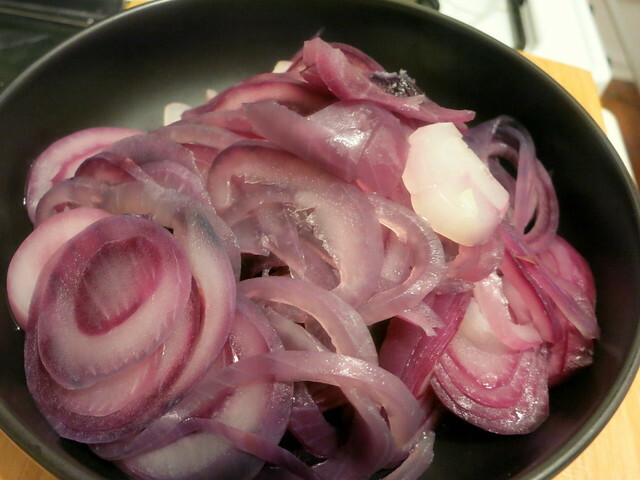 Pour the remaining oil over the onions, then sprinkle with 1 1/2 teaspoons salt and 3/4 teaspoon pepper. 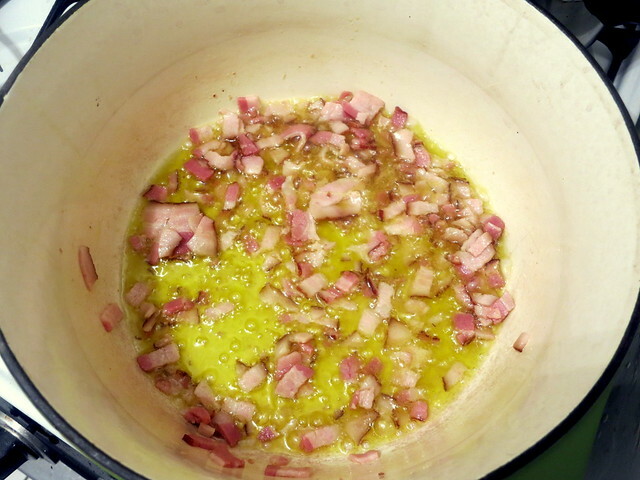 Cover, bring to a simmer and cook gently until the beef is tender, about 2 hours; the onions will release a good deal of liquid. Uncover the pot and bring to a boil. Cook the pasta in a large pot of boiling salted water until al dente, then drain and toss with the sauce. 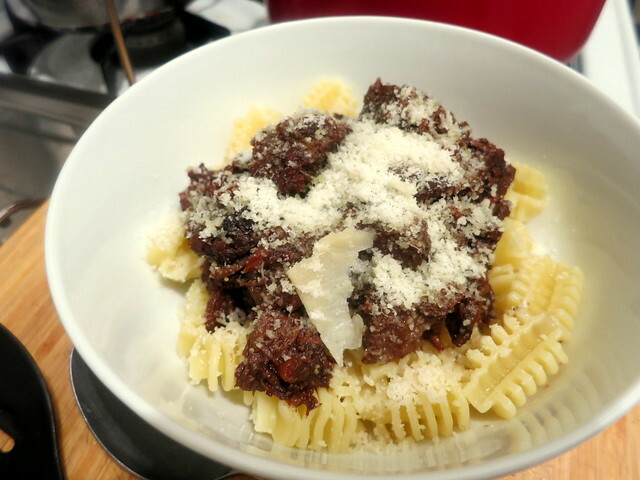 Stir in Parmesan to taste, then serve. Time: 3 hours, not including prep. 24 Feb	This entry was published on February 24, 2015 at 3:25 am. 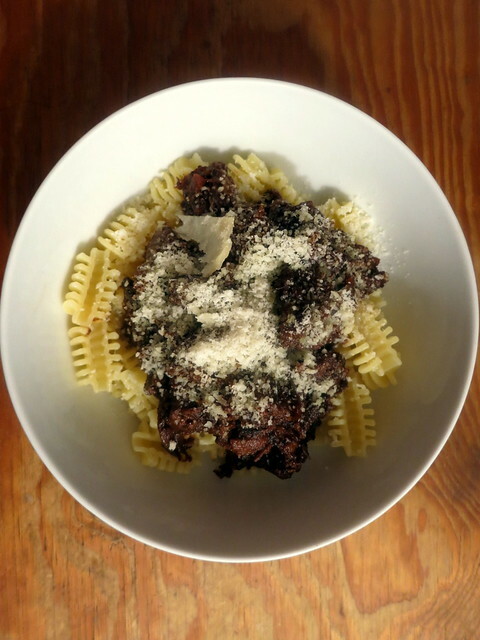 It’s filed under food, Italian food, LGBT, New York City, winter, writing and tagged beef, food photography, Italian food, LGBT, Mark Bittman, Naples, New York City, pasta, winter, writing. Bookmark the permalink. Follow any comments here with the RSS feed for this post.